Big thanks to artist Chip Skelton for the stellar job here. 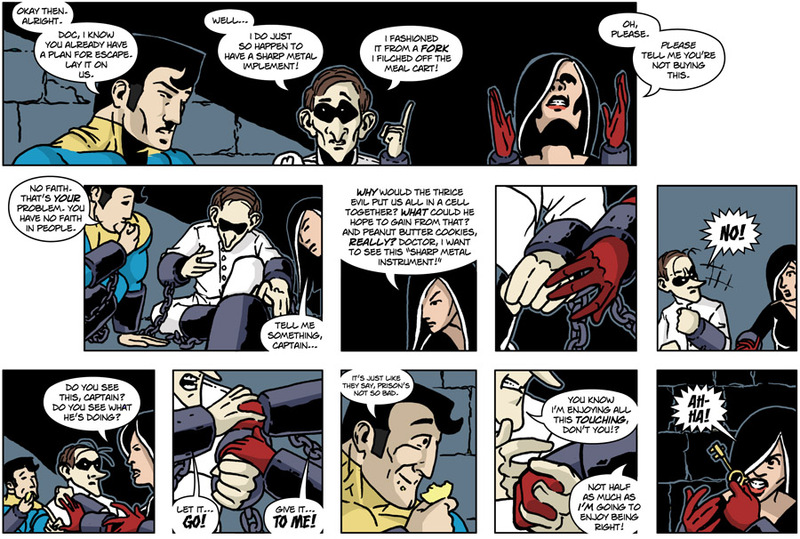 I love all this interplay and it’s so hard to do extended pieces like this in strip form. Great fun. Do you like sports? I don’t. Much. Come complain me and learn how soccer is really a threat to manhood over at my new blog, “Sports”. He fashioned the key out of a fork?